If you like to write for the web, we have the perfect theme for your next WordPress website build. 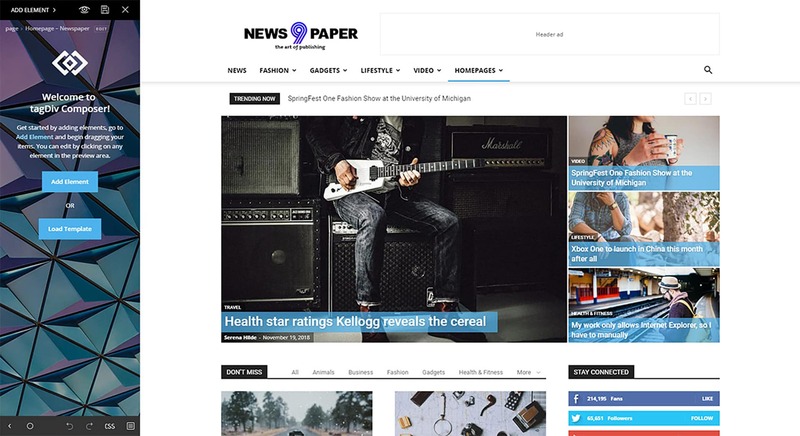 Newspaper, which is the top selling news theme of all time on the Envato Market, is a robust and easy-to-use option that will make your website look great. And it’s designed for a focus on blogging and content so that every story or post is easy to find and read. Today, we’re going to take a deep dive into the theme so you can see what it is all about. Newspaper is a WordPress theme from tagDiv, a well-known theme builder on Envato Market. The Power Elite author maintains a top rating and more than 91,000 users have purchased themes from them. Newspaper – now in version 9.6 – is a responsive theme that’s optimized for the Gutenberg release of WordPress. The theme is perfect for blogs, but also for newspaper and magazine websites with large amounts of content. 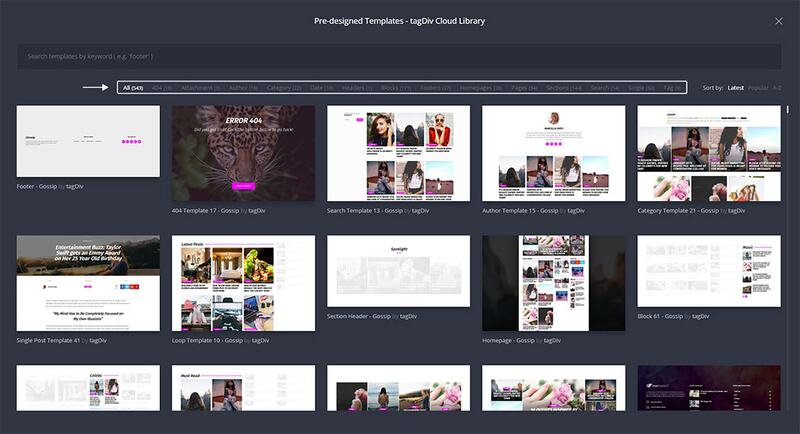 You can create and publish anything from text to images to gifs to video content with this theme. One of the reasons this is such a popular theme is that it is easy to use. Even more, novice WordPress site owners can benefit from these features because it is designed to make your life easier. That starts with a frontend website creation tool. This means you can see changes as you make them. It’s powered by the tagDiv Composer, which is a tailor-made page builder for frontend design. Then there’s the added tagDiv Cloud Library. While it might not be something you already know about, you’ll come to love it fast. The gallery is packed with more than 600 pre-made designs for headers, sections, pages, posts, footers and more. All you have to do to access these designs is install a plugin called tagDiv Cloud Library. This will give you access to the tagDiv servers from where you can import what you like to your website. Make the customizations and assign it to the pages where you want to use it. This feature can be a huge timesaver and helps you jumpstart projects with design inspiration. It can seriously help you build a website in a few hours, rather than days or months. So, what else can you find with this theme? Newspaper has a clean and modern design that you can truly make your own. The nice part about a theme like this is you can let the content dictate the design. Choose from light or dark options, high or low visual designs, options with big features or more smaller blocks to highlight content. With so many demo choices, you can see the possibilities. The theme is $59 for a single license (one website), and includes quality checks by Envato, future free updates and 6 months of support. It’s also Gutenberg optimized, so you know it will work with the latest version of WordPress. You don’t just have to take our word for it, Newspaper has been used by plenty of designers and developers including those at Uber, ShareAmerica, Bitcoin.com and Rackspace. This is a high-quality WordPress theme that will help you design a great site quickly and affordably. It works for both new designers and those with plenty of skills (but not much time). If you are looking to create a website design that’s rich in content, Newspaper is a great place to start. 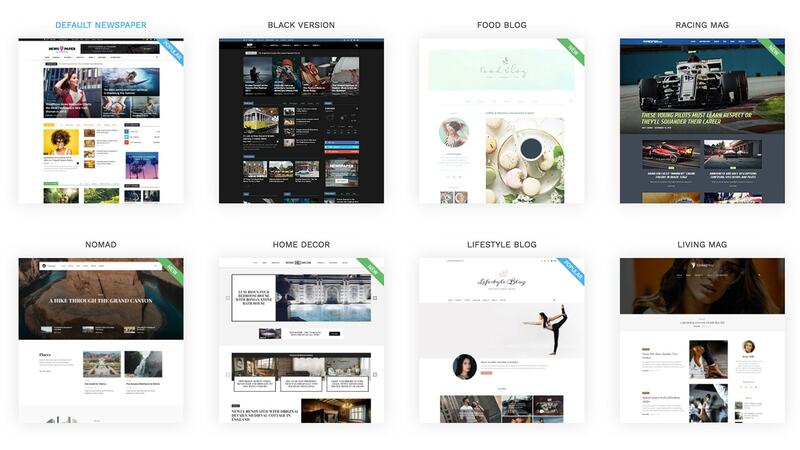 Download and install the theme, customize and you’ll have a site up and running in no time! It’s not so easy to find a nice looking and functional Magazine Theme. Newspaper seems to be a good choice – I like the clean layout of feature area and abilities of customization. And what is also iimportant “you can let the content dictate the design”.